The 2015 YMCA Strong Kids Campaign goal of raising $1.6 million will financially help over 20,000 children and youth access YMCA Calgary programming. 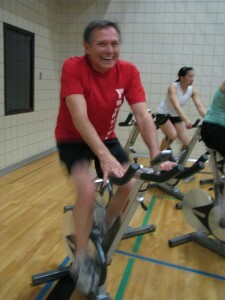 This represents 1 in 5 children and youth served by YMCA Calgary. Kids can help create strong communities for today and for the future, but only if they have the chance to reach their full potential. Your donation will ensure kids can participate in programs to live healthier, happier lives now, but also to grow into productive adults. 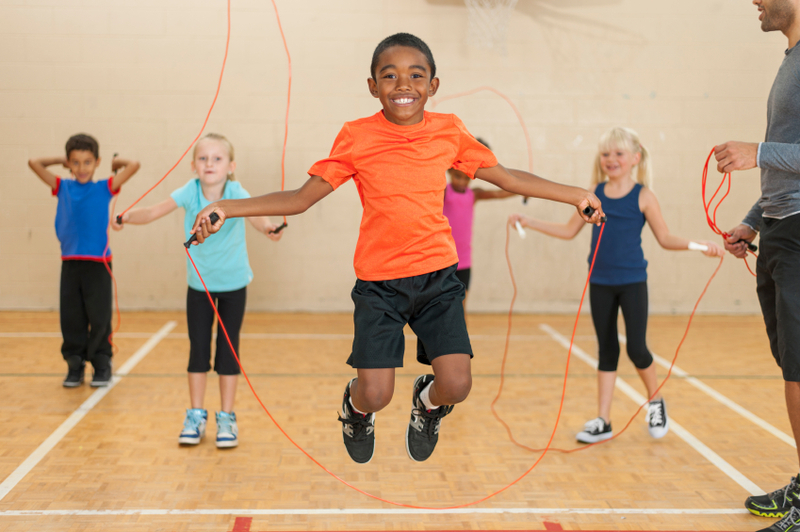 The economic impact of keeping our kids healthy and active is proven and documented. $100 enables a family peace of mind as their child attends Camp Riveredge in a fun, nurturing and safe environment. $500 can change a child’s life at our residential camp, Camp Chief Hector YMCA. $1,000 ensures a whole family can enjoy the lasting benefits of regular physical activity at YMCA Calgary for a full year. $5,000 can teach over 70 children how to swim, ensuring they learn life skills and stay safe. Gifts of $1,000 or more includes entry into our Chairman’s Round Table program and annual recognition within YMCA Calgary. YMCA programs vary from community to community but one thing is constant: Every kid deserves a chance and everyone is welcome. Our goal is only achievable with your generous support. Learn about the ways to donate. 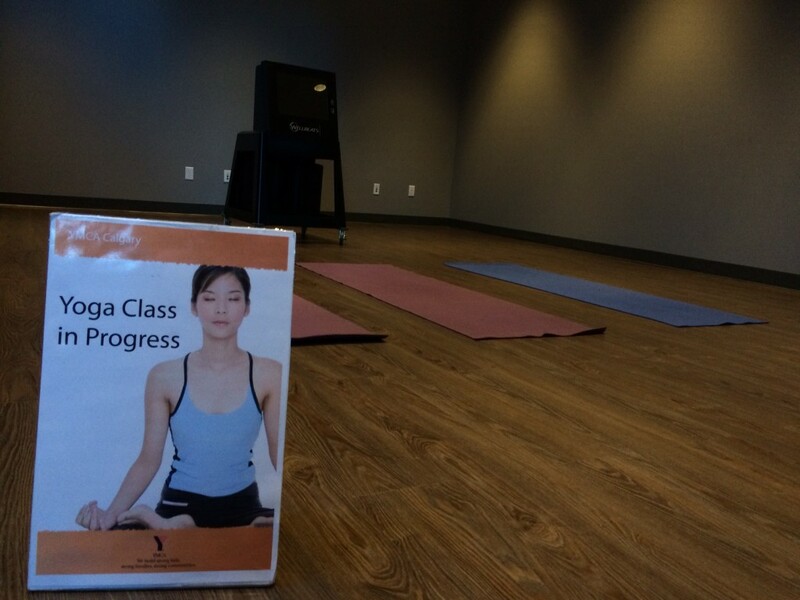 Eau Claire YMCA has a new versatile yoga studio! Beautifully tailored décor and manually adjustable dimmer lights lend the perfect ambience for mind/body programs. And there’s more excitement! The area offers Fitness on Request. 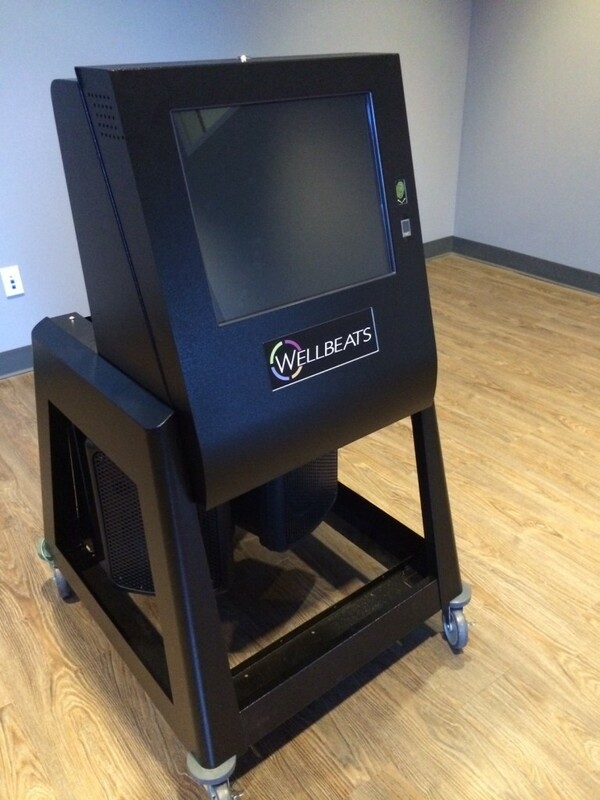 This virtual group fitness platform system is available FREE to members during non-program times to try a variety of fitness and wellness videos led by top qualified instructors from WELLBEATS. With the flip of a switch members can choose from a selection of Mind/Body, X-training, cycle step and more! Crunched for time? Can’t make one of our regularly scheduled classes? All the more reason to try Fitness on Request. We’ll set it up every day from 2pm-3pm. Then you decide which program you want to do. Great variety and flexibility for everyone! See Eau Claire Member Services for more details. Build health for life with a YMCA Calgary membership pass. Box up a quality program or day camp. Provide one-on-one quality instruction with private swim lessons or personal training. Let parents have a worry-free workout with babysitting services. Wrap up a massage experience (offered at Eau Claire YMCA only). Give a swipe-and-go card to someone who likes to drop-in once in a while. 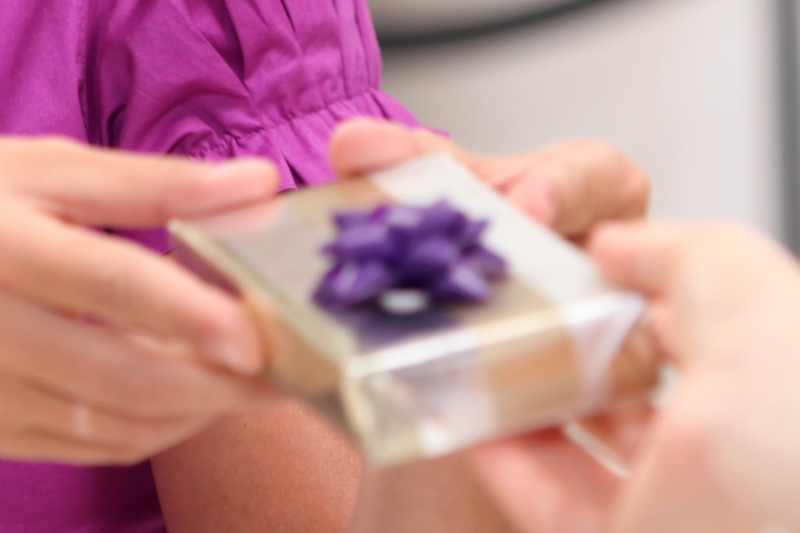 Can’t find a unique gift for the person who has everything? Donate to the YMCA Strong Kids Campaign on that person’s behalf. 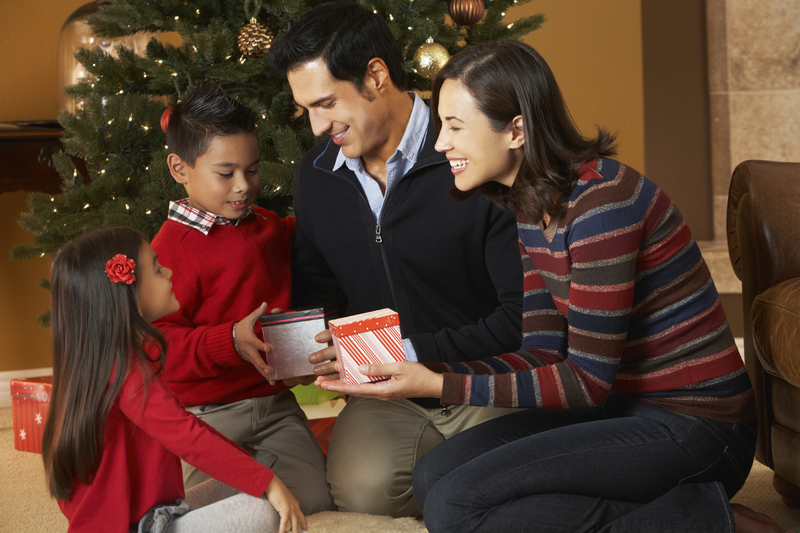 Enjoy treating your family and friends with healthy holiday gifts from YMCA Calgary. Members and non-members can enjoy the benefits of massage offered at the Eau Claire YMCA by a great team of Registered Massage Therapists. If you’re interested in booking an appointment please call Men’s Plus (403)-781-1660 for men’s bookings and the Women’s Plus (403) 781-1661 for women’s bookings. The Developmental Disabilities Resource Centre of Calgary recently held their award ceremony on September 25, 2014. YMCA Calgary was honoured with the Inclusive Community Award in recognition of our efforts to engage, include and support people with developmental disabilities whether it be through membership, programs, services or employment and volunteer positions. 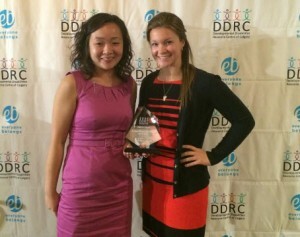 Fan Wu, Eau Claire YMCA Program Manager and Molly Green, Volunteer Engagement Coordinator attended the event and accepted the award on our behalf. Enjoy a day on the course while helping children and youth in our community. 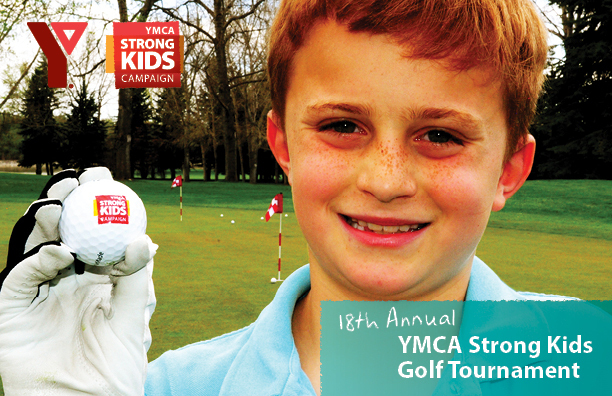 The goal of our annual YMCA Strong Kids Tournament is to provide 850 children and youth in our community a YMCA experience. Hope you’ll join us! View Photos from our previous YMCA Strong Kids events! 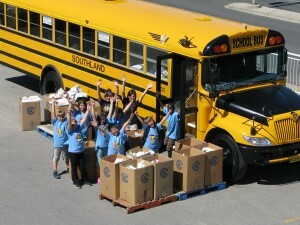 During the week of August 11, 2014, the15th Annual YMCA Calgary Kids in Motion and Day Camps Food Drive will take place. Enthusiastic YMCA kids and youth will be collecting food donations in various Calgary communities in support of the Calgary Interfaith Food Bank. Kids in Motion is a summer volunteer program for young people ages nine to 12. Participants volunteer in meaningful projects in their local community and in return gain opportunities to enjoy recreational activities. The values, lessons and opportunities youth gain from this program are invaluable. They learn to work as a team, share pride in a job well done, make a positive contribution to their community and develop lifelong leadership skills. August 13, 14, & 15 please support Kids In Motion participants and our day-campers as they collect donations for this year’s drive. Be sure to watch for your Food Bank bag and reminder flyer a few days before the food drive begins. 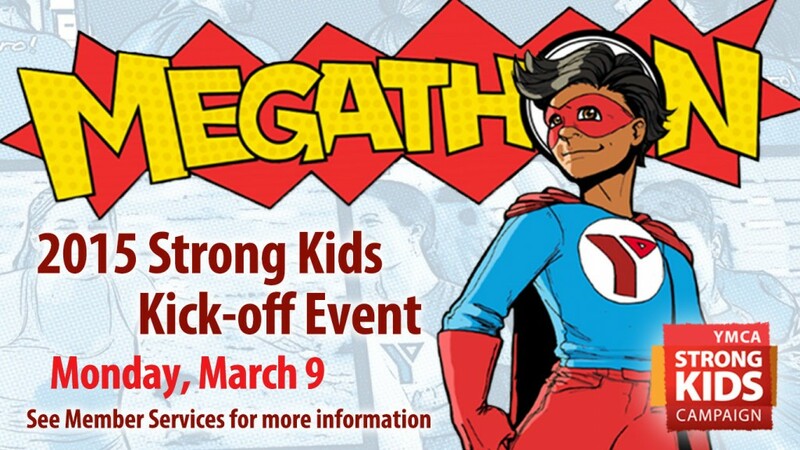 You’re invited to our annual YMCA Strong Kids fundraiser, Jump For Joi Skip-a-thon! Join us for an afternoon of fun including a silent auction and special guests. 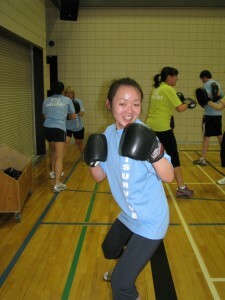 Jump for Joi honours the memory of Joilinn Edgar, former YMCA Calgary day camp counselor and passionate supporter of YMCA Strong Kids.